Coming up this weekend, the #30, and #80 Nissan GT-R GT3 are hitting the Nurburgring for the 24 hour event. The #30 GT-R recognizes the 30th anniversary of NISMO, and the #80 car for the 80th anniversary of Nissan. The race starts Saturday the 21st at 4 pm local time. The official website for the ADAC Zurich 24h Nurburgring includes a livestream link and timing in scoring so you can follow along. Michael Krumm, Kazuki Hoshino, Katsumasa Chiyo and Tetsuya Tanaka will share the No.30 Nissan GT-R NISMO GT3, numbered 30 in honor of NISMO's 30th year. The man behind the wheel of the new Nissan GT-R NISMO road car (with track options) when it completed a lap of the Nordschleife in just 7 minutes 8.679 seconds was Michael Krumm. COLOGNE/BONN, Germany – Nissan heads "home" this weekend to the Nurburgring, the scene of the manufacturer's volume production lap record and the track where the GT-R is developed. With an all-star international team of drivers, competing in Nissan GT-R NISMO GT3s this is Nissan's biggest assault on the Nurburgring 24 Hours in recent times. Nick Heidfeld, Florian Strauss, Lucas Ordonez and Alex Buncombe will race the No.80 Nissan GT-R NISMO GT3, which celebrates Nissan's 80th birthday. German ex-F1 racer Nick Heidfeld has competed at the Nordschleife before so he is fully aware of the challenges presented by the track known as the "Green Hell." "The Nordschleife is one of the most difficult circuits to learn," said Heidfeld. "I did this race two years ago and I thought I could come back this year and pick up where I left off. That is not the case with the Nordschleife. It is so long and has so many corners and blind spots. Usually at a race meeting you go out and do five or six laps to get a good feel for the track, then you can start with setting up the car. It's a long lap here and there are three other drivers in the car so it's a case of 'right, everybody gets two laps!' On the other hand this is part of what makes the `Ring so special." Lucas Ordonez already has a Nurburgring 24 Hours class win under his belt, but this time he is in the top GT3 class for the big race. "We won back in 2012 in the Nissan GT-R club track edition, proving the GT-R road car can be really competitive against 100 percent race cars finishing in 30th place overall against over 200 cars," said Ordonez. "The GT3 class is very competitive, but we have a fast car. We've been doing some VLN races and had very strong results, including top times in races, practice sessions and a pole position. Pirelli has done a great job developing tires for us so we're going there hoping for a top result. Winning at the Nurburgring is tough and there can be a lot of factors out of your control, but, as always, we will give it everything we've got. The Nordschleife is the most challenging, exciting, dangerous track on earth. There is no room for even the slightest error so every driver must treat it with the utmost respect." "To have the chance to compete in the Nissan GT-R NISMO GT3 race car against the best GT cars in the world at the Nurburgring is a great opportunity for us to show the strength of the Nissan GT-R," said Krumm. "It is the toughest endurance race in the world against the toughest competition. I am very excited to be part of the team and look forward for this big challenge. When you consider the great potential of the car, I think we definitely have a shot at the podium. We will all work very hard and hope that we have the necessary luck as well." Super GT racer Kazuki Hoshino has a long-held ambition to win the Nurburgring 24 Hours. He's hoping that 2014 will be his year. "Winning the Nurburgring 24 Hours has been my dream for a long time," said Hoshino. "This will be my sixth 24 hour race there and I will be driving a top category GT3 car, the Nissan GT-R NISMO GT3, which I have been developing from the beginning. I took part in VLN4 last month, and we were able to obtain lots of data for the 24-hour race and we felt confident in the car and the team. By showing our car's performance at the Nordschleife, the most demanding circuit in the world, I am hoping we can show everyone that Nissan has such a great car. Of course it is not an easy task, but we are going to combine our strengths and do our very best." As the Head Judge for GT Academy Germany, ex F1 racer Nick Heidfeld saw Florian Strauss win the competition last year. Now he is racing alongside him at one of the toughest endurance races in the world. 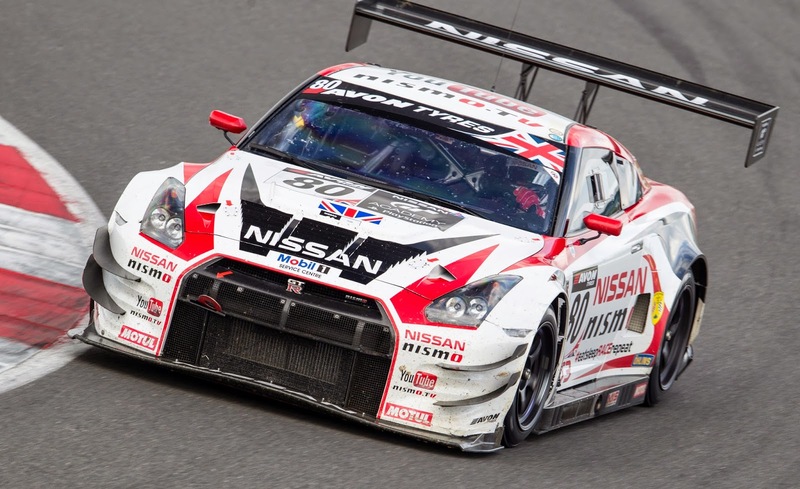 "It is impressive that GT Academy unearths real racing talent," said Heidfeld. "I'm sure that in years to come it will be regarded as a normal route into the sport, but it is amazing to come up with am idea like that and actually pull it off. Before I met Lucas (Ordonez) a few weeks ago, I didn't think of him as an ex-gamer. I knew him as a racing driver as his name has successfully popped up at many events over the last few years. It is different with Florian as I helped to find him with GT Academy and he has been only racing for a few months. On the other hand, in Germany alone there were more than 100,000 people fighting for this chance, and if GT Academy manages to really find the best of those he must be at least OK. What I love about it is that it gives a chance to people that can't afford to come into the sport via the traditional route of karting, for which the costs have become increasingly unsustainable."